Most of us rely on renting a self storage unit for different purposes. Some may use it because of the transition between cities. Others may need a temporary place to store their possessions while their house is being sold or they’re just simply looking for a new apartment. It could also be that they are using storage units as an extension of their closets at home. Whatever the reason is, renting a short term self storage for a temporary space need could always be the best option of an individual could do. Before you look for one to rent, it is better to ask yourself on how long your possessions need to be stored in there. It’s better not to get your home stuffed with lots of things. And if you don’t need to stack it away for a long time, then rent a shorter term. 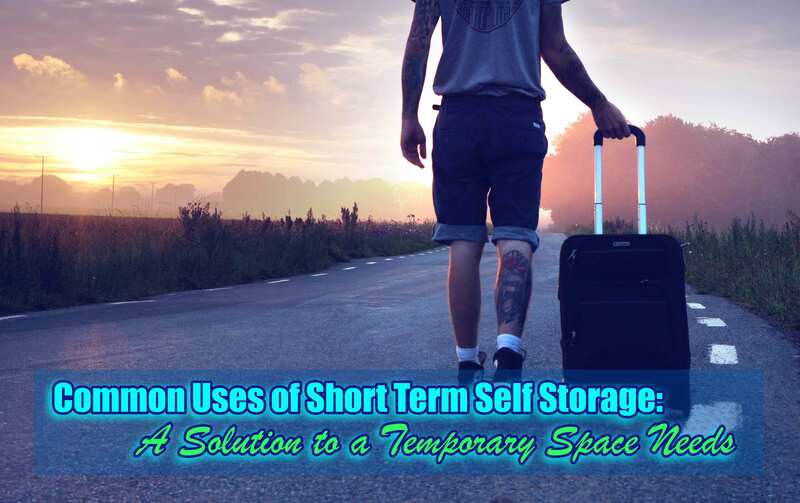 Furthermore, there are plenty of situations where you could benefit better from using short term self storage. In a relationship, living together could be a big step that most couples consider when it comes to love. Hence, in every love story, expect that conflict is inevitable. And in some cases, couples grow closer as they learn to navigate conflict. However, a happy ending is not always for everyone. And when things end, either one of you may need a place to store your possessions as you decide to go on your separate ways. Well, love could be cheap, and so is storing all your couple memorabilia. Short term self storage could help you move on! Moving from one place to another needs an organised plan, right? Well, let’s just say that you have decided to move in one month. Now you are starting to set and organise your moving planning guide. And if you are selling your house, then you may need to prepare all your stuff to be gone by then. If you haven’t found any room where you can put them all, then you can count on a short term self storage facility. When doing a short remodel of your home, you may have to move some things out. So, renting a self storage unit is a good and convenient option for you. This is most beneficial for those who have limited space in your house. You may rent a unit for a month or two to keep your possessions safe while doing remodels. If you are uncertain on how long you may need to store your items, then setting up a month-to-month deal is helpful for you. For instance, your work requires you to travel and work on projects for who knows how long. Again, let me remind you that a long term self storage facilities are more expensive if you end up coming back earlier than expected. So, start with a short term contract and be flexible when you need to. I can’t speak to your own experience. But we’ve all had bad experiences about storage, eh? And one good example here is when you are not sure of the time when you’re getting back your stuff. You may end up getting a long term deal just to be sure. But whenever you want your things back earlier than expected, then you may end up paying extra more. This is the main reason why we should assess our needs first. Short term self storage is the best idea you could opt to whenever you’re not sure of the time on how long should you stack them in there. Our home is a living space, not a place to stack all your stuff both old and new. So, if you want a temporary space, then short term deals are certainly the solution you need. After all, this kind of deal could save you a lot of money in a situation when long term storage isn’t necessary. Looking for the best storage deals? Macy’s Mobile Self Storage is the perfect solution! Whether you’re moving home, decorating, downsizing or just looking for an extra place to securely store your possession for a short period of time, get in touch with us. Our customer service will be happy to help and guide you all the way. Also, are you interested in modular storage and how it can help your business? Then read our article: What is Modular Storage and How Can it Benefit Your Business.